The Country Music Wax Museum no longer exists, and when it closed it became a hip bar for a few minutes in time. Someone, and I can't remember who it was, recalls being in the back room of the bar for whatever drunken reason and stumbling upon a wax figure of Grandpa Jones. When the museum closed, there were stacks of these at The Goodwill, for 29 cents each. I bought a lot, but I should have bought more. If you click on the coloring book you will open up a whole ball of wax. The artist who created the coloring book seems to have taken photos of the wax dummies and then placed tracing paper over them and drew around the outlines, with maybe their left hand. The best one is Charlie Pride, but Grandpa Jones and Stringbean are pretty good, too. There is a really lame connect the dots on Minnie Pearl's suitcase. June Carter's face is particularly nebulous. If you were a little person, wouldn't you choose another instrument besides the harp? 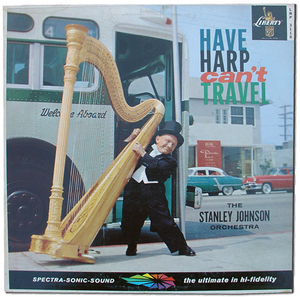 Also, didn't Billy Barty get enough work that he didn't have to take harp gigs on the side? And don't you think the other guys in the band would show a little compassion and help the harpist out? Finally, there aren't enough people out there who perform in little tuxedos anymore.